Here's our view as we're pulling into our 1st port stop... Juneau! 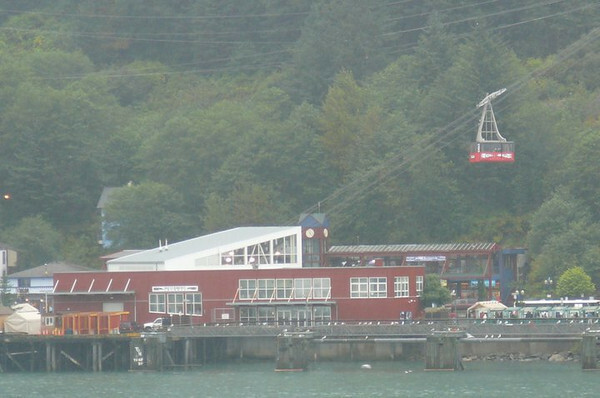 A popular thing to do in Juneau is to ride the tram up Mount Roberts... definitely the best views in town! Tip: Don't book this excursion in advance through the Cruiseline as you'll only want to do it if the Weather is nice. If it is, simply buy your Tram ticket, for less, when you get off the Ship.